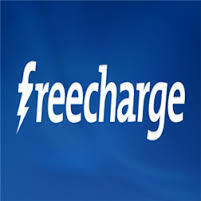 3.Initiate a Recharge of Rs 30 or mmore. 6.Then Enter your FC Coupon LINEFC30 Under GOT A PROMO/FREEFUND CODE? field. 7.After Coupon applied sucessfully then Pay amount with Debit Card/Credit Card. 8.Boom! You will get 100% cashback(Rs 30) in FC Credits instantly. 2.Offer Not Valid for Airtel Transactions. 3.Valid one time per user/DC/CC.